Hi there! 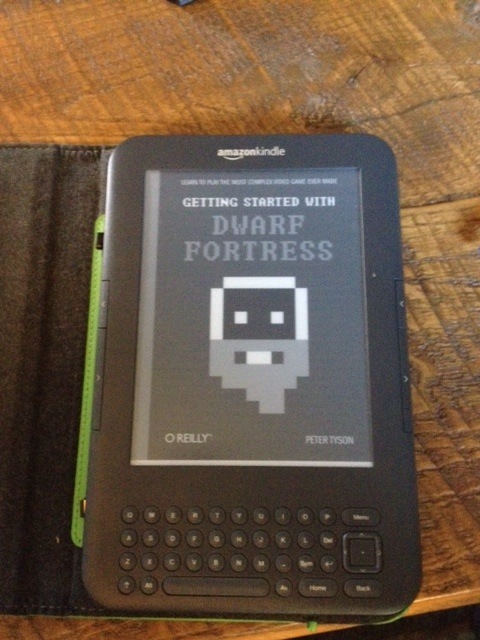 You might be here looking for information about my book, “Getting Started with Dwarf Fortress “, which is available at O’Reilly.com. If you’re here for my old blog, click the blog menu link above. I also run afteractionreporter.com and drawnfortress.tumblr.com which may be of interest. 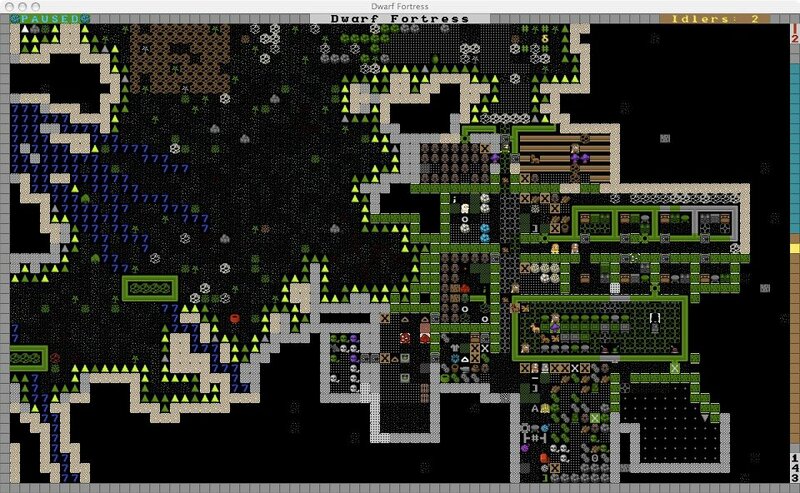 “Getting Started with Dwarf Fortress” is a fantastic introduction to one of the most complex games ever made. 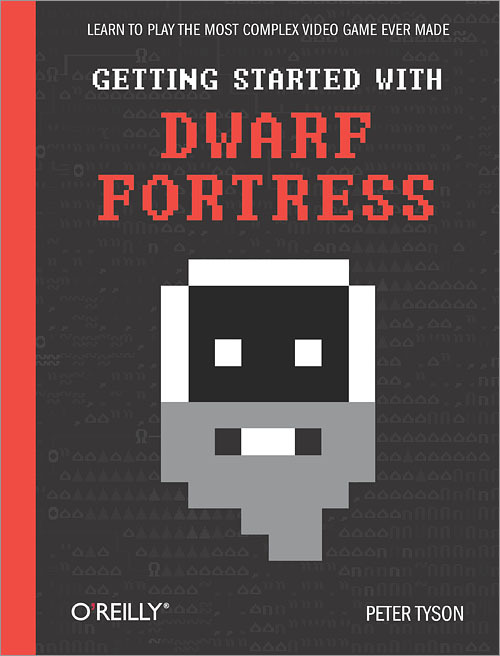 Reviewers have described it as a “must have for new players and a great read for old ones” and as “your single best resource for learning Dwarf Fortress”. The book guides you through the process of creating a world, establishing your first fortress and then how to productively manage your dwarves, the military, industry and engineering. 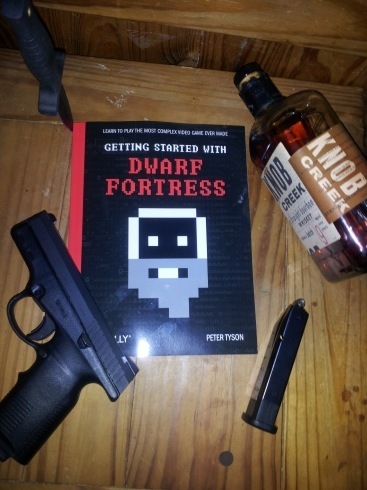 By the time you’ve finished this book you will be a confident Dwarf Fortress player and you will have had some fun too! At O’Reilly.com you can pick the book as an eBook or, paperback or both for a great discount. The book is also available on Amazon and other retailers. If you buy your eBook through O’Reilly you will automatically be subscribed to lifetime book updates for free. 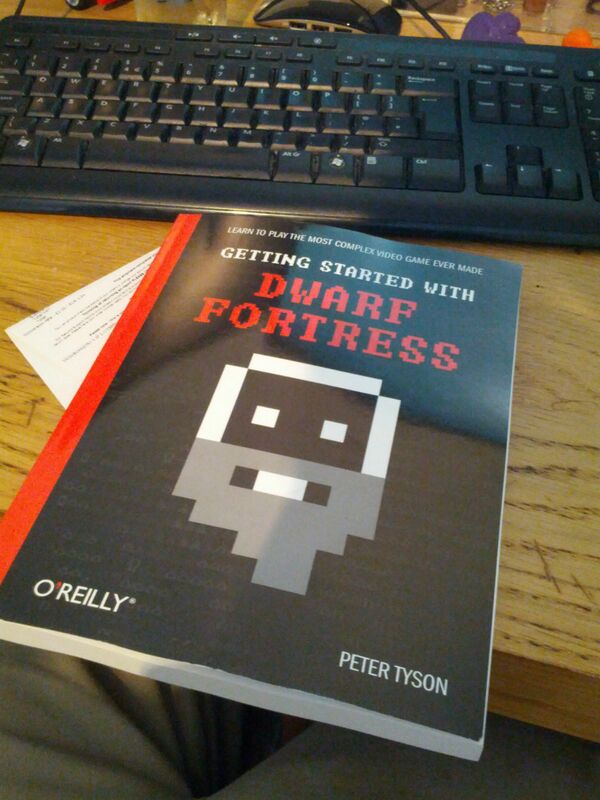 As Dwarf Fortress changes I will be updating the book and O’Reilly customers will be alerted and able to download the book for free. 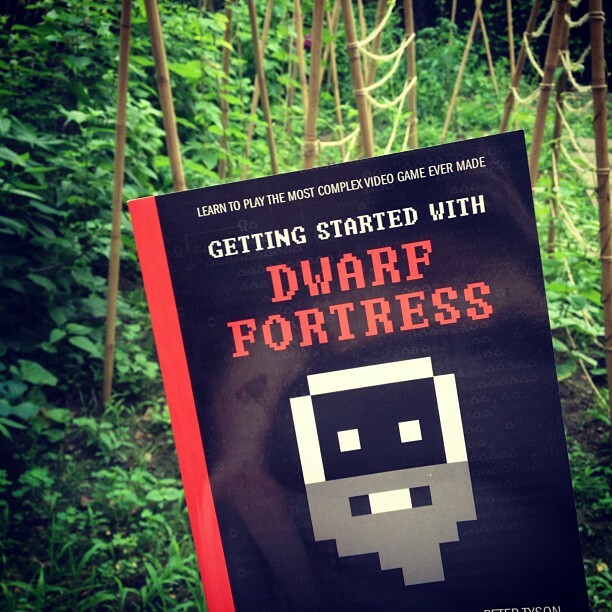 “Getting Started with Dwarf Fortress” will never be out of date! If you have bought the book from somewhere else you can register your copy on O’Reilly.com and for $5 gain access to the lifetime book updates. The book is 238 pages and 80,000 words. It features nine full-page illustrations and a half-dozen diagrams by Tim Denee. 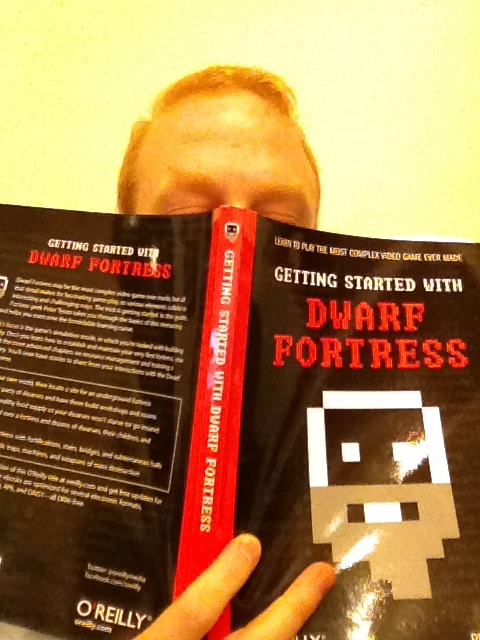 The illustrations are based on stories from Dwarf Fortress submitted by players on the forum. You can see one to the left. If you buy the book, I hope you enjoy it! And please, feel free to let me know if there are any problems with the book. I’ll be updating it, after all! …read more on Amazon.com and at Oreilly.com! I love these photos of the book in use.